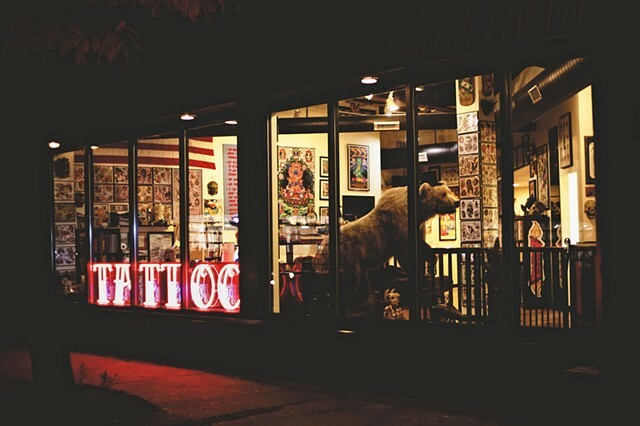 7TH STREET TATTOO is located in Saint Paul, MN. Artists Pete Mason, Jesse Berres, Jeremy "Jers" Tupta, Sam Creighton, Shannon Joyce and Jessica Raadt. We are all accomplished tattooists that are here to help you receive a great tattoo that will stand the test of time!!! To set up an appointment we require a nonrefundable cash deposit that goes towards your tattoo. YOU MUST CALL OR STOP INTO THE SHOP TO SET UP AN APPOINTMENT. WE DO NOT SET UP APPOINTMENTS ON THIS WEBSITE, FACEBOOK OR EMAIL. WE DO NOT do body piercing and we DO NOT tattoo anyone under the age of 18. We provide high quality tattooing at a fair price.